Now that the shameless self-promotion is over, lets dive specifically into how you can use Meetup Groups to attract more leads. 1. 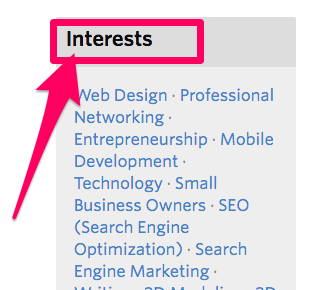 When You first log into Meetup.com, you'll have a few options in which to search for prospects. In the search bar I'd recommend searching a generic search term that pertains to your industry (ex. "Digital Marketing). Next to that you can set a search area radius (miles) around a specific location. The Location part is very important to all you territorial sales reps. The beauty of Meetup.com Groups is that they break out into small, passionate subsets of individuals in very well defined areas....a salesman's dream. 2. In the following search results page, select a group that you think serves a particular interest to your product or service. 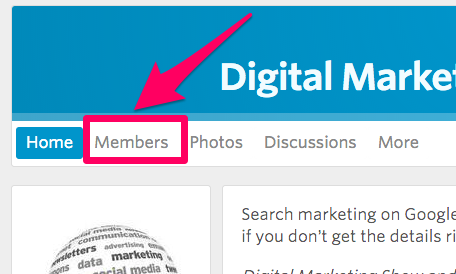 Then, once inside the group, select the Members tab on the top left menu bar. 3. Once inside the Group members page, you'll see two tabs on top: All Members, which is the default setting, and the Leadership Team which is composed of the founding members of the Group as well as the main Organizers of the in-person Meetup events. These Leadership Team members have really great potential as they're most passionate about the topic in which the group is organized around. 4. Staying inside the All Members tab, you'll notice on the right hand side some common points of interest ("Connection To You") as they pertain to you and the potential prospect. I recommend starting your prospecting efforts by leveraging local groups first as you'll more likely have more in common. But then again, if you are assigned to far off territories this option may not even be on the table. 5. 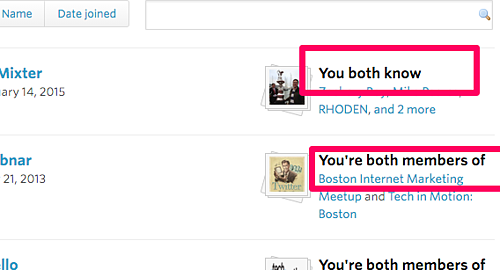 Once you've found a prospect that piques your interest, click on their name in the All Members menu and you'll be brought to their Meetup.com user profile. Within each profile is some basic information akin to a Facebook profile, but one feature I like to leverage is the Interests label underneath their profile pic to establish further rapport with the prospect. 6. Now that you feel you have enough common ground with the lead to establish a relationship, click the Message button on the top-left corner of their profile to compose an inbox email. 7. Simply type in the message that you think will be a strong call-to-action for that prospect to respond and click Send. 8. 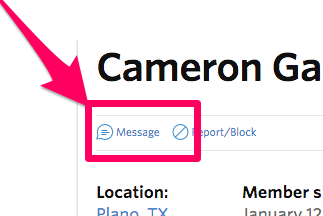 Once your message is sent your prospect will receive a notification in both their Meetup.com Alerts section on the homepage AND an alert in their own personal email inbox. This is really an effective way to get the prospect's attention. 9. 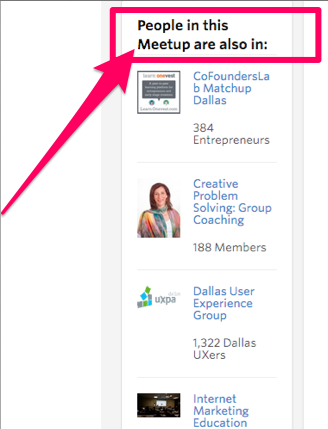 After composing an inbox message to your prospect, I'd also recommmend going back to that group's homepage and looking at the column on the lefthand side titled "People In This Meetup Are Also In" for other potential lead sources. And there you have it sales friends! Now that I've taught you this simple and obvious method, i'd love to hear some feedback. Has this strategy worked for you?